Now for a post containing no nail polish, just to break the trend. I’m normally pretty boring when it comes to my phone. I think my problem is I can never decide – with internet shopping there is just too much choice. I eventually managed to decide on this lovely little case. The purple, burgundy, wine hue is a mock crocodile and super shiny and new. 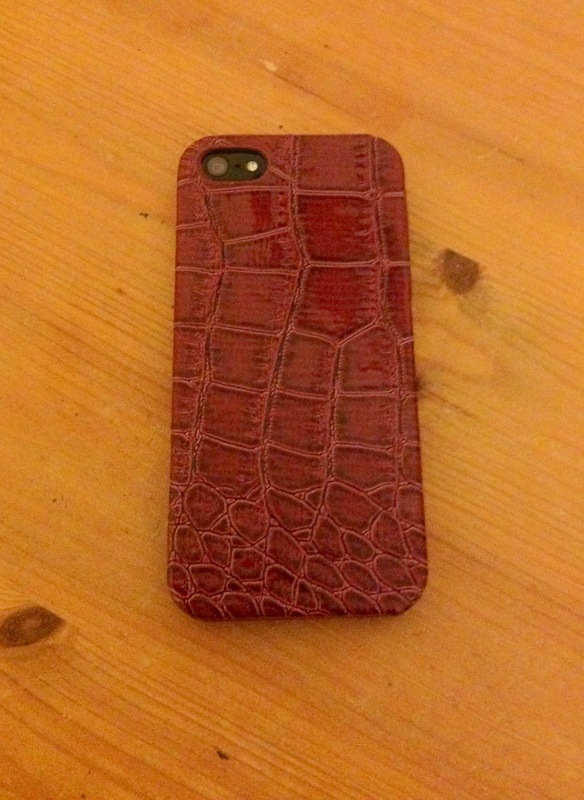 My case comes from Amazon, available for only £4.88, with quick delivery… just another accessory to add to my collection! Have you purchased a new phone case or any other technology accessory? Comment below and let us know or send us a picture on Twitter @thesarahsblog or on our Facebook page. With essays done and a free evening I thought I would relax, catch up on a little bit of Made in Chelsea and paint my nails. 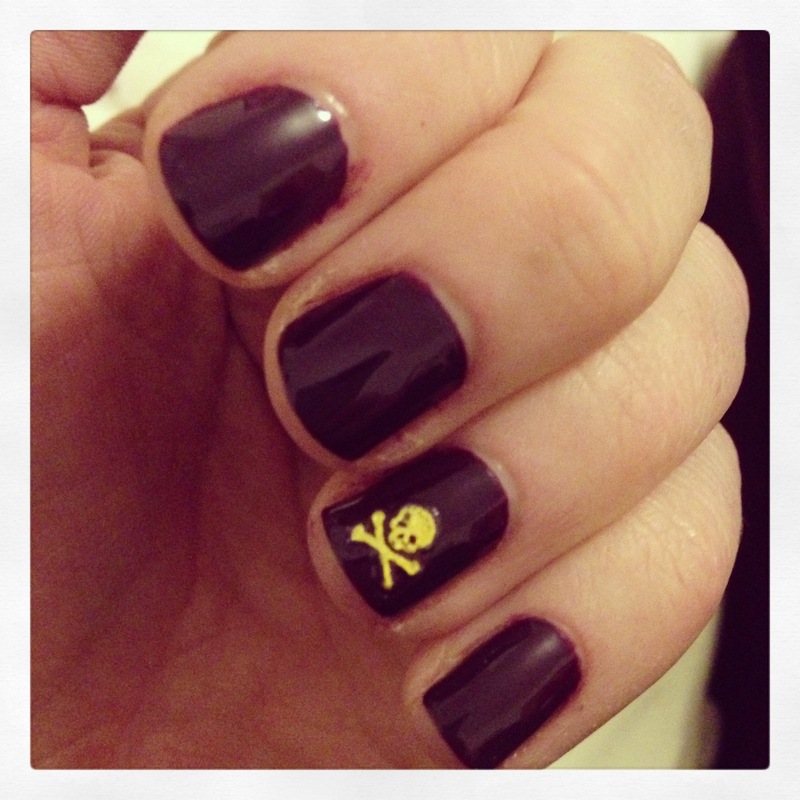 I used Mavala Mexico and accessorized with gold sticker skull and cross bones from Elegant Touch. 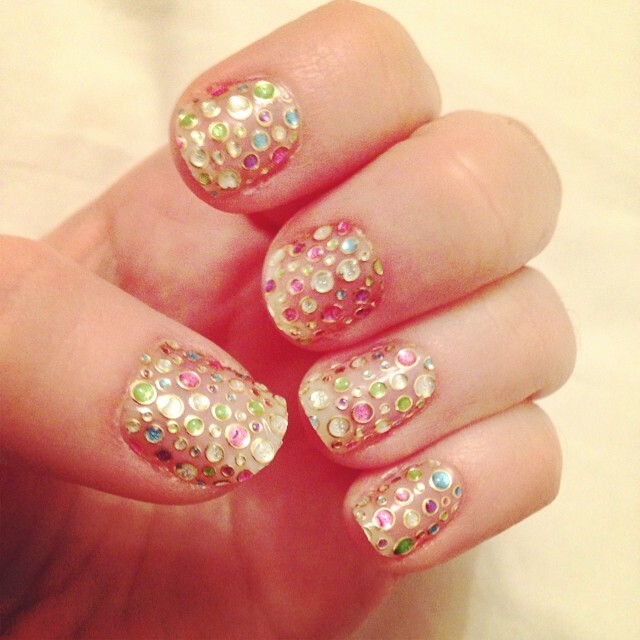 Have you treated your self to some me time and painted your nails? Let us know and tweet us a picture @thesarahsblog or leave a comment below. Did you know, October is Breast Cancer Awareness Month. To promote this Breakthrough Breast Cancer have created a few events and money raising opportunities. All their efforts to raise this vital funding go towards continuing Breakthrough’s life-saving work, which improves early diagnosis, develops new treatments and works towards preventing all types of breast cancer. With 1,000 women dying from the disease each month in the UK alone, every penny raised is vital in order to help them create a world freed from breast cancer. 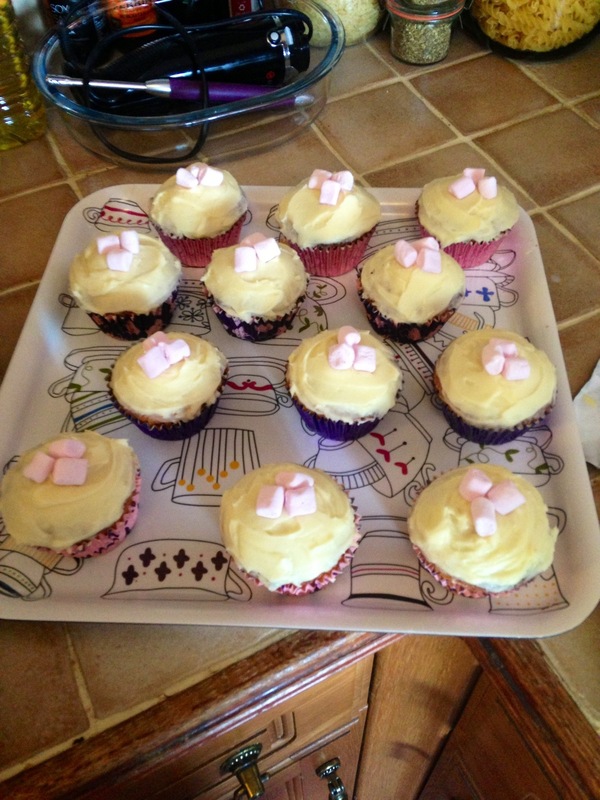 So whilst this is a belated post / bake, i thought i would raise a bit of awareness for The Great Pink Bake Off even if i couldn’t hold a bake event myself on Friday 18th October 2013. 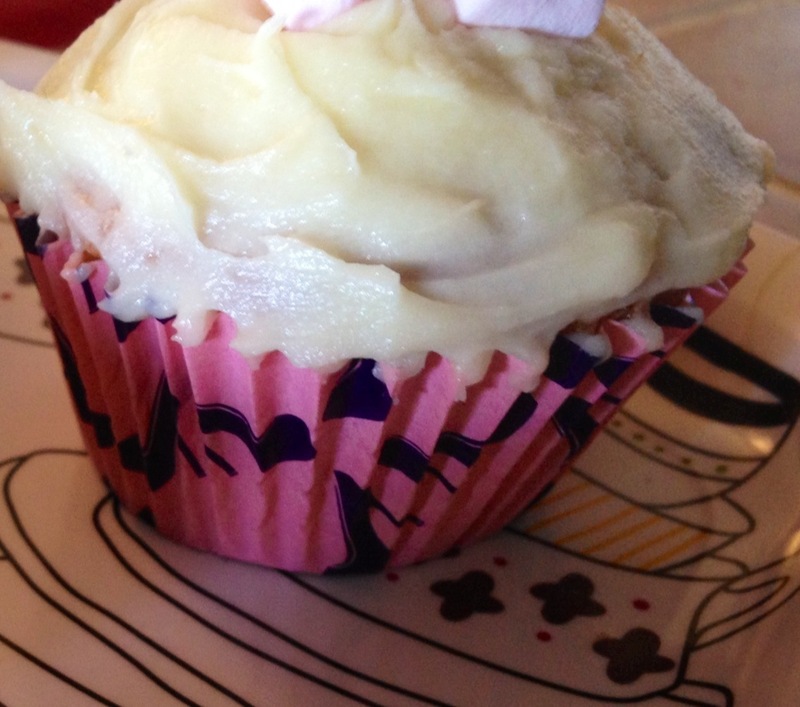 I have been baking my famous cupcakes as per usual, although i branched out and went with a new Mary Berry vanilla cupcake recipe (keeping the Great Bake Off theme). Now my house mates need to get eating! I also went for the Heels and Handbags pink and purple Asda cases just for that added pink to my pink marshmallow decoration. Finally, I know you have all heard of Breakthrough’s award winning TLC (Touch Look Check) campaign, the earlier breast cancer is found the better the chances are of beating it. This is why it is so vital that women make regular checks. It is pretty self explanatory: Touch, Look, Check, being the basis but Breakthrough Breast Cancer have also released a free credit-card sized TLC guide. All you have to do is text SIGNS to 70500 or click HERE to download one. Not only does the guide detail the key signs and symptoms of breast cancer, it also includes information about what to do if you notice anything unusual. Its handy size means women can keep it somewhere useful, such as in a handbag or on the nightstand, that will act as a helpful reminder to check their breasts. Bonus. 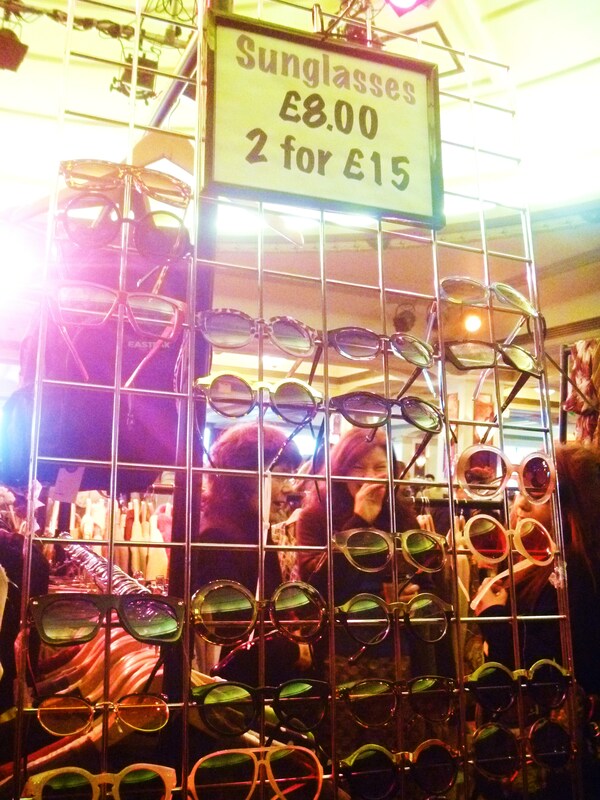 The Sarah’s Style blog picked up a few gem’s at the recent vintage fair in Bournemouth. 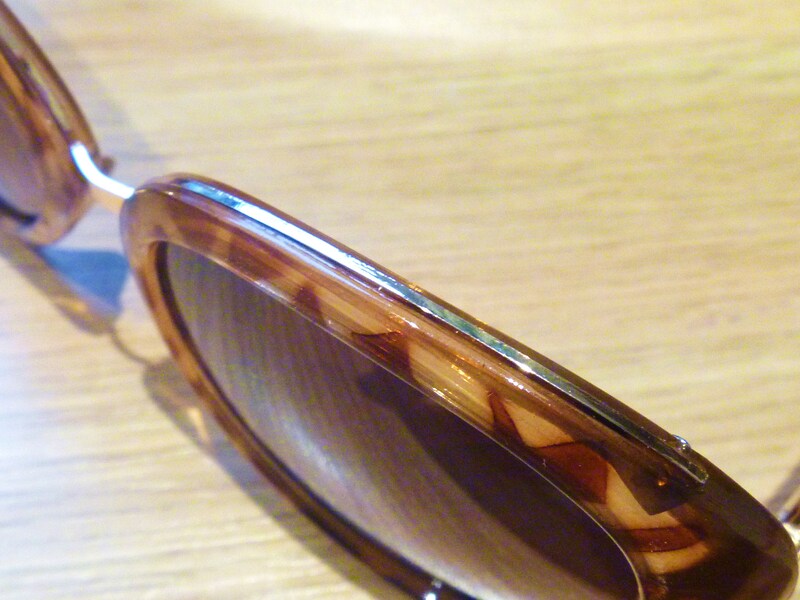 One of my favorites, my retro style shades! Two for £15 – Bargain. Seen above as a wall of sunglasses, by the time I got to it most of the best ones were already gone! However, I still managed to bag two pairs – one for when i’m feeling a little ‘vintagey’ and the second for when I’m feeling a little more quirky! 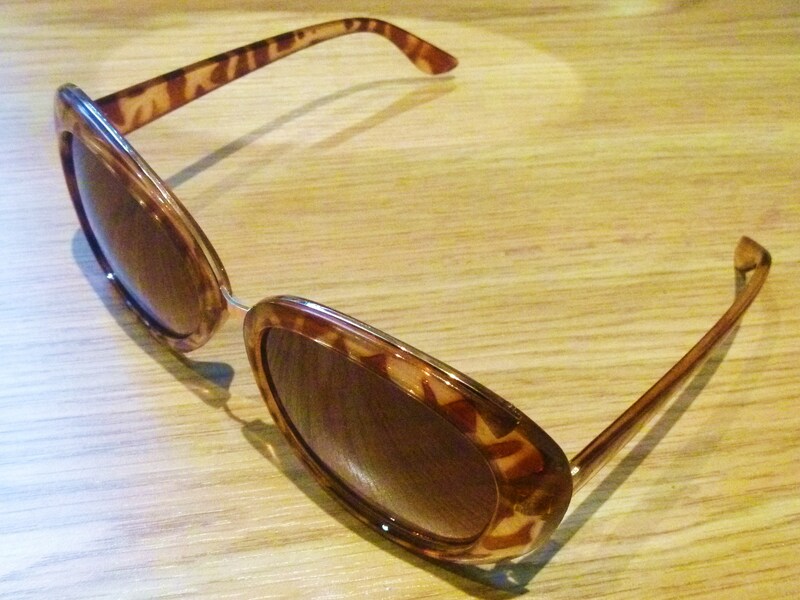 These are my ‘everyday’ sunnies, with a hint of tortoise shell and the gold detailing across the bridge of the nose and over the top of the eyes. This pair are more conservative and work well for any occasion – especially if you are already rocking a variety of bright colours in your outfit. The gold detailing gives a little edge to the otherwise not dissimilar pair to those found on the high street. This pair really caught my eye. 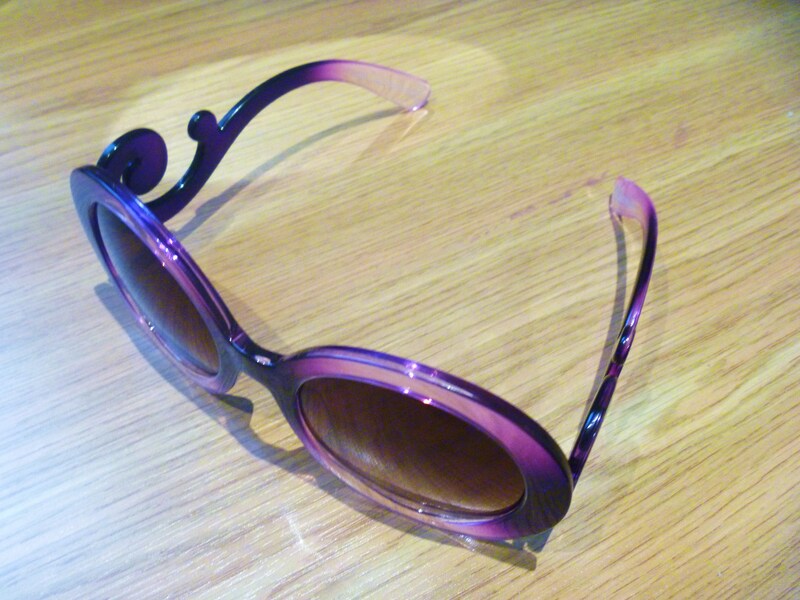 The bright purple, is eye catching, whilst the faded colour balances out the harsh frames. The detailing on the arms of these shades mimics a very popular design i’m sure you’ll have seen. 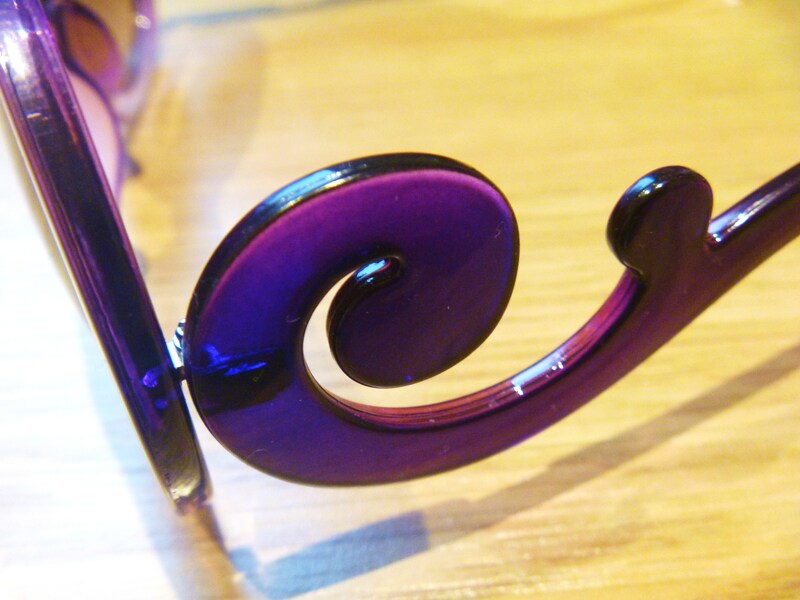 However, these are total fake (obviously) and for once, I agree with the fakery as the swirl design has been used as inspiration for this particular pair, whilst still being UV safe and CE approved!